The trouble of spending too much of my time visiting town centres and shopping malls is that I end up with more potential blog topics than I ever have time to actually write about, accompanied by folders full of unused digital photographs. One story that I’ve been sitting on for a while is the upcoming opening of TK Maxx at Gateshead’s MetroCentre, adding to a portfolio of Tyneside stores that already includes a Newcastle city centre shop at Monument Mall, and retail park sites at Byker, Kingston Park and Team Valley. 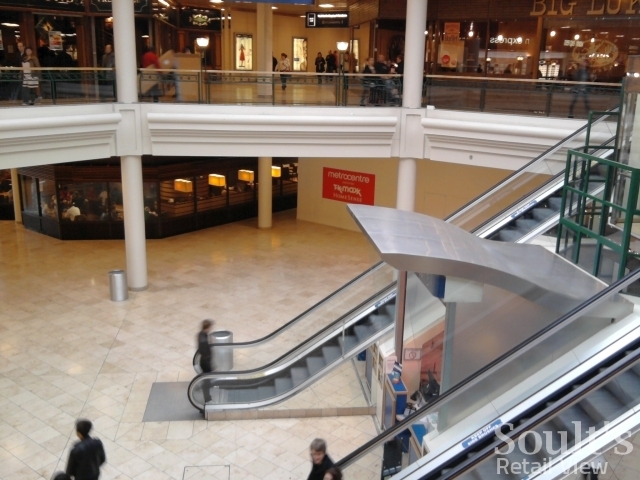 When news of the MetroCentre opening emerged back in October, it was reported that TK Maxx would be taking over the two-storey former Woolworths unit – an assumption that seemed to make good sense. It turns out, however, that this is not the case: TK Maxx will, in fact, be moving into the space in the Blue Mall that was occupied by the Odeon cinema until December last year. If you’ve been following such things, you’ll know that this space was freed up following the opening of a new Odeon in the Yellow Mall, occupying the site that used to be the New MetroLand funfair. As reported by Retail Week, and now confirmed by the ‘coming soon’ signage on site (above), the upcoming 45,000 sq ft store is noteworthy in that it will be the first in the UK to open under a dual TK Maxx and HomeSense fascia. 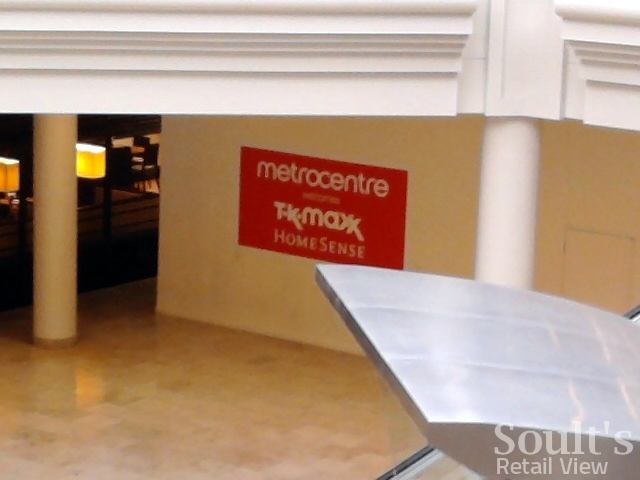 HomeSense is TK Maxx owner TJX’s homewares chain, and is an established format for the company in the US and Canada. In the UK, the first HomeSense stores, in Cardiff and Poole, only opened in 2008; the chain has now expanded to 16 sites, with a further four scheduled to open in June and July, though none so far have opened in the North East or Yorkshire. As it is, the HomeSense website suggests that we will still have to wait until ‘late September’ for the opening of the MetroCentre store. 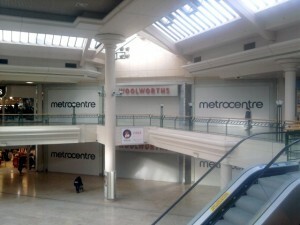 All this means, of course, that the future of the large former Woolworths site at MetroCentre remains unclear. A recent planning application – submitted in February – for a 1,617 sqm (17,405 sq ft) extension to the unit suggests that something is in the offing, though I understand that there has been no decision on that application as yet. 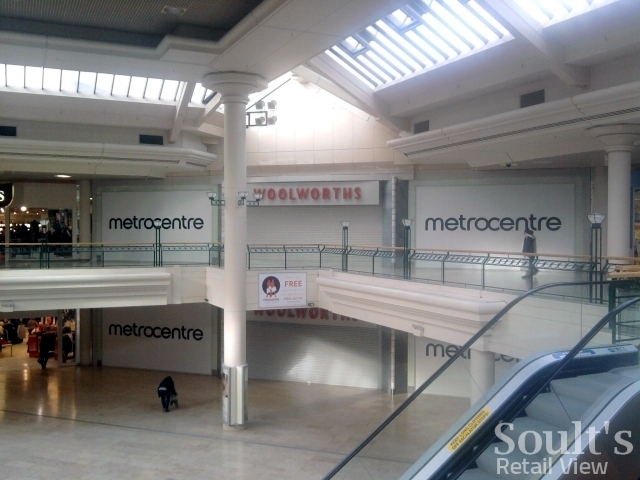 I have heard rumours that an existing MetroCentre tenant may be poised to upgrade to the former Woolworths unit, so perhaps more news will be forthcoming if and when the pending planning application is approved. Not good that if you do travel & visit one of the HOME SENSE stores, you cannot return to a local TKMax. I think its good how TKMaxx is moving into the new retail space that used to house the Odeon cinema, but I think that it would be good if you split the Woolworth’s store into 2 sections, upstairs and downstairs and house 2 stores into one, although they’ll not be linked. Potentially, Metrocentre could move Apple into one of the 2 retail units then move another retailer into the other.